Happy Saturday, everyone! I hope you guys had a great week. I have had a crazy one...first week of summer, a sick kid and broken car! I'm glad the weekend is here! I have a fun card to show you today. I just received this new paper....it's the Simple Stories Summer Fresh line. I just love it. The background is all one piece of paper. I just cut the pinwheel using a Scrappy Moms Stamps die, added the stick and then finished it off with a cute bow from the Hemp Cord Set Aquamarine. I finished off this easy card with a sentiment from the paper collection kit! I love the colors on this....so fun and summery. Just had to say how much I love this card!! I certainly hope your summer improves! Think of it as getting all the "bad stuff" out of the way from the get go. Hopefully the rest will be a breeze. 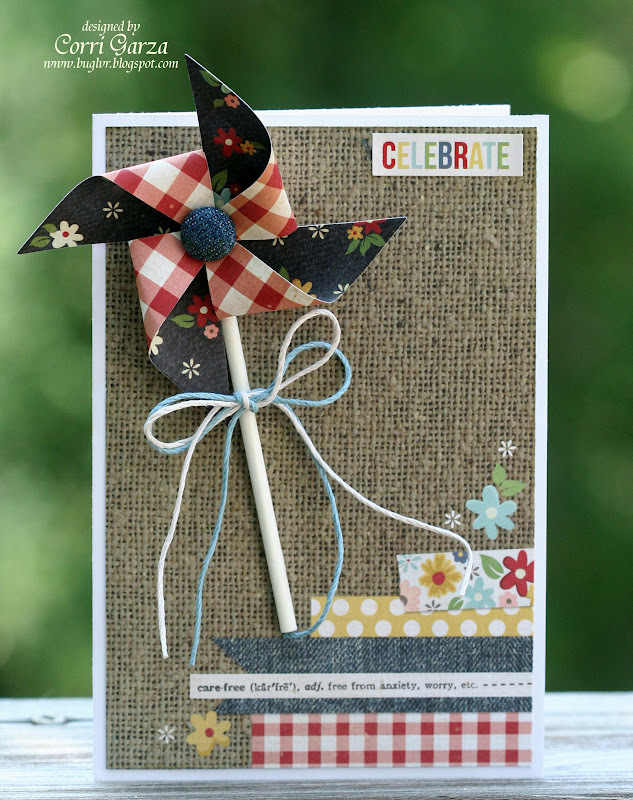 Super cute with a great pinwheel. corri, this is so darling!! Your pinwheel is FABULOUS I really love it!!! Great card! Super cute card, Corri! LOVE that Simple Stories Summer Fresh collection! !